Biodiversity-related issues, such as Endangered Species Act listing determinations, have significant influence on land management and wood procurement nationwide. Engagement by NCASI staff in technical support and research related to at-risk species is critically important. For technical support, NCASI Staff monitor agency publications (e.g., Federal Register) and key environmental non-governmental organizations’ (ENGO) websites, interact with agency and company staff, participate on species status assessment and recovery teams, review and prepare technical comments on regulatory proposals, and support industry and landowner responses to proposed agency actions and other activities (e.g., ENGO market campaigns) as appropriate. Staff also collaborate with the National Alliance of Forest Owners (NAFO), the US Fish and Wildlife Service, state agencies, and other stakeholders, to promote improved understanding of contributions that working forests make to conservation of at-risk species. Three current, collaborative research projects are focused on specific at-risk species, providing new insights and data to inform decisions. The first is examining red tree voles in young and old forests of western Oregon. This species is usually associated with older, structurally complex forests. However, they are also regularly found in younger forests, including 20–40-year-old plantations. 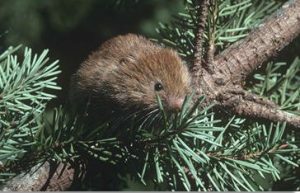 It is not understood how interspersed young forests influence abundance, persistence, dispersal, survival, and reproduction of red tree voles at the landscape scale. The role of younger forests for conservation and management of red tree vole populations is a key information gap for public and private land managers in Oregon. The second is a series of studies investigating marten and fisher habitat and ecology in the Pacific Northwest. There are significant gaps in our understanding of how these species use private, working forests. Such data gaps are important to fill to provide data as state and federal agencies consider regulatory actions regarding these species and to help guide forest management decisions by Member Companies. The third study is investigating gopher tortoise movements and metapopulation dynamics in managed pine landscapes. 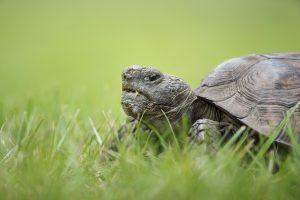 The US Fish & Wildlife Service is scheduled to determine by 2022 whether the gopher tortoise should be listed under the Endangered Species Act throughout its range. A listing could have important implications for forest management and access to wood. This project will help inform the Service’s listing determination by continuing support for a study with the University of Georgia examining movements and ecology of gopher tortoises to management activities and stand and landscape-level structure on a working forest landscape. NCASI maintains a compendium of information about biodiversity conservation programs, titled A Summary of Conservation Planning Efforts in Forested Regions of the United States. The authors examined resource selection by sympatric northern spotted owls (Strix occidentalis caurina), a threatened species under the US Endangered Species Act, and nonnative barred owls (S. varia) in western Oregon. To address the lack of information for martens in coastal Oregon, the authors quantified vegetation characteristics at locations used by Humboldt martens and spotted owls in two regions and at two spatial scales. This discussion addresses assessment of forest and biodiversity response to climate change, whether or not this change is of anthropogenic origin. The NatureServe forest program provides biodiversity data to landowners and forest managers.